The development consists of a 16 level office building and a 2 level retail building. 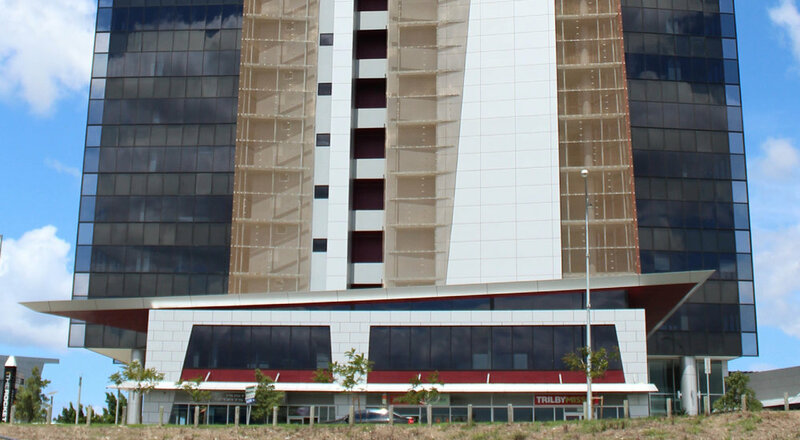 The office building has become a landmark for the greater Robina area and includes the striking ‘fin’ façade element which projects 4 stories above the top floor of the building. The post tensioned floor plates delivered large open plan office spaces whilst minimising floor depth and floor cycle times. MPN also detailed the shoring system to enable the construction of a 3 level basement car park.